Decatur, TX Ukulele Lessons Near Me | Fun Classes. Top Teachers. Can't find a teacher in Decatur, TX? g. Jordan provides that structure during lessons and homework assignments but allows for individual initiative and efforts. He listens to my goals and helps me accomplish them by moving me ahead at a good pace and continually helping me fine tune what I have already learned. He is not intimidating and wants to see me have fun playing music. He also provides an environment for learning good musical habits and techniques." "Jordan was great. Excited to keep learning and improving." "He's very professional and helps make playing the ukulele super fun!" "Jordan is a talented teacher knowing how to best start you out on an instrument but not hesitant on challenging his students with more difficult material. I learned heaps in my first five lessons with Jordan and was stoked on the outcome!" uling, working around school and other activities. Jordan's lessons are a highlight of my daughter's week. He is always patient and able to individualize his teaching based on age and where you are at in the learning process. Jordan is very knowledgeable of music and a great person to learn from!" "I am such a newbie. Instructor was very patient with me. ...ask me again after lesson number 20"
Stars, they're just like us! 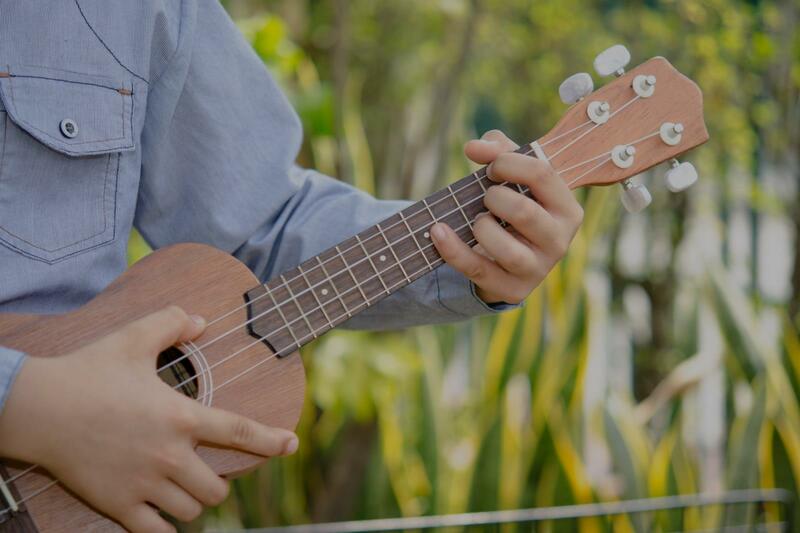 Just like you, these famous figures learned chords and simple songs on the ukulele, spent hours practicing, and fell in love with this Hawaiian instrument. Check out these videos of 10 celebrities who you probably didn't know played the ukulele. 1. Dwayne "The Rock" Johnson For such a big guy, Dwayne "The Rock" Johnson looks right at home holding a tiny ukulele. 2. Ryan Gosling Please hold your swoons until the end of the Gos' ukulele performance. 3.